Whilst not strictly part of the original brief to construct new flats behind the retained facades of Grade A Listed tenements on Cessnock Street, the historical context demanded a close attention to detail and appropriate level of finish at street level. 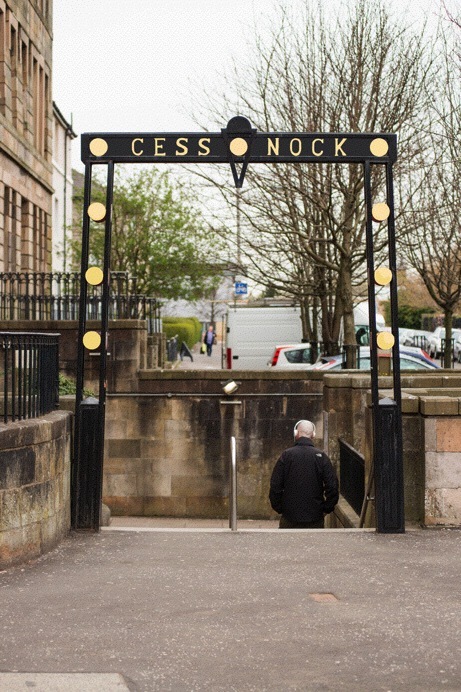 With the Alexander "Greek" Thomson designed facades as the back drop for the streetscape Lachie Munro took the opportunity to design new arches/gateways over the entrances to the adjacent (Cessnock) subway station to be more in keeping with the buildings above. Eventually Strathclyde Passenger Authority were persuaded that the 1960s style Underground logos be replaced with two new arches/gateways to signal the entrances. The arches were deisgned to be more sympathetic to the buildings above.